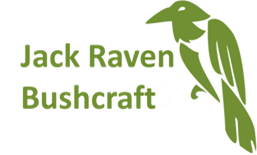 Right from the start we’ve wanted to make booking onto a course as easy for our customers as possible and that it should be secure. To that end we use Ecwid, an easy to use e-commerce solution. We first started using it about a year ago and it works really well; because it works in conjunction with PayPal, neither us nor Ecwid store any financial information about our customers. Recently I found out that Ecwid had created an app that would allow us to add a store to our Facebook page; so I’ve added one! It’s really straightforward to use, but here is a short tutorial in case anyone has any problems. 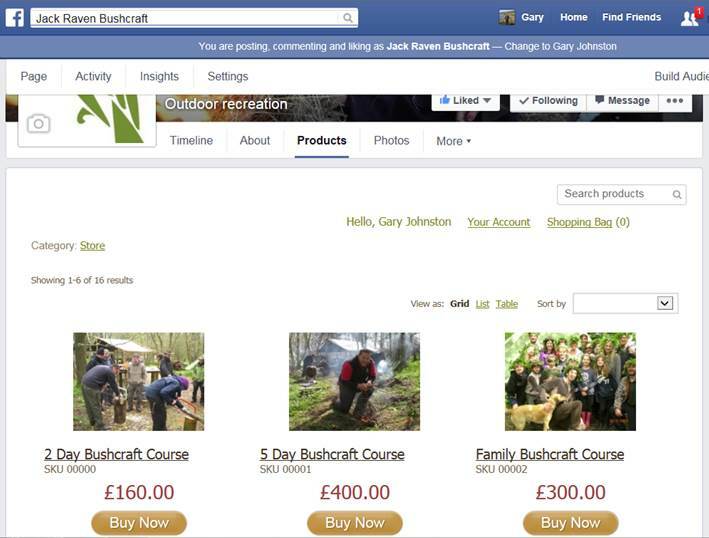 If you’ve been on a course in the past and have a discount code, it will work via our Facebook page as well as through the website. 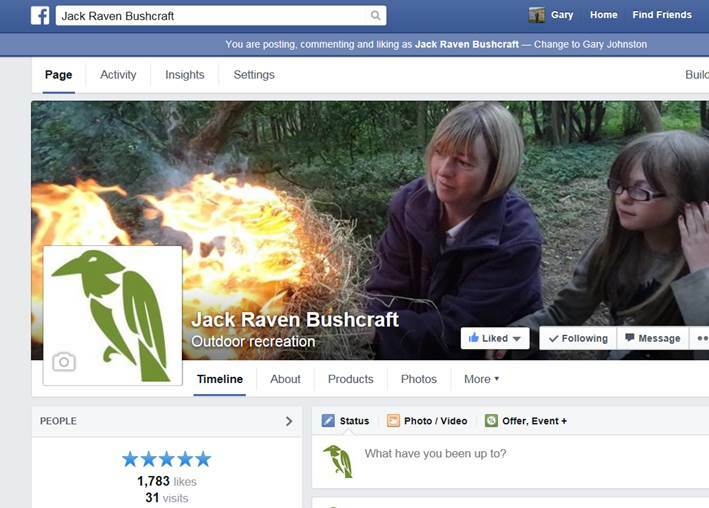 From the Jack Raven Bushcraft Facebook page, click on the ‘Products’ tab (it’s right below the cover photo). From here you can browse our courses. 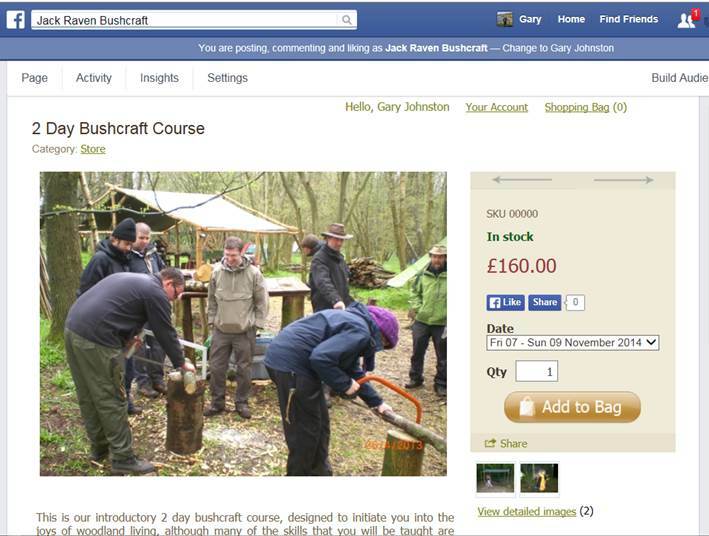 If you click on a course name, you’ll get more information about the course and also you’ll be able to select the dates you want to come along. So select the dates and then click on ‘Add to Bag’. 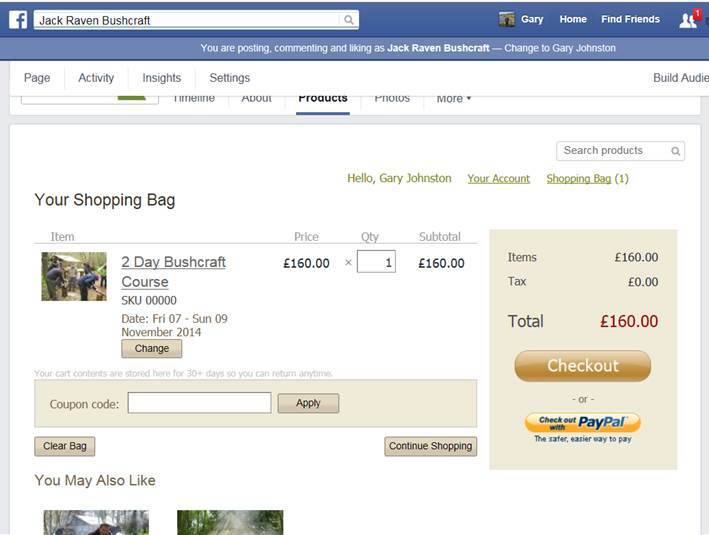 Click on ‘Shopping Bag’ in the top right corner and the payment screen will appear. If you have a discount code, enter it where it says ‘Coupon code’. Then either checkout using a credit or debit card, or via PayPal.